It has been many, many cycles of time since our last TOKYOFLASH watch review in 2005 and it is great to see a company dedicated to function and design doing so well. 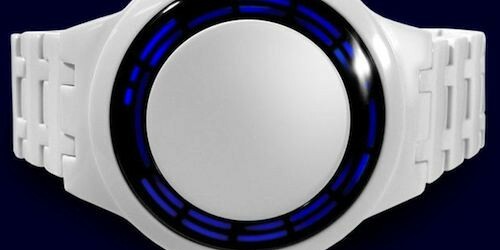 The latest creation from TOKYOFLASH JAPAN to catch our attention is the Kisai RPM Acetate White Led Watch made from hand cut, machined, and polished acetate which is the same material used in the production of high-end jewelry. One unique feature of this watch (other than the method by which you tell the time) is that it is USB rechargeable and a single 3.5 hour charge will power your watch for a month. The internal battery is good for about 300 charges and is user replaceable. 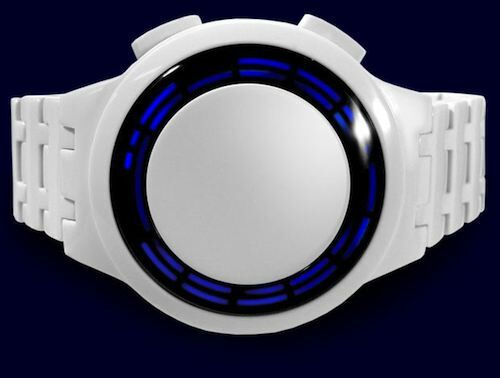 Can’t you just see Castor from “TRON: Legacy” wearing this awesome looking timepiece on his wrist?